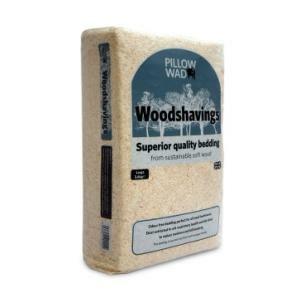 Pillow Wad Woodshavings are sourced from well managed forests and only use premier woodshavings that are kiln dried to kill bacteria and reduce moisture content. It is dust extracted to ensure a safe comfortable bed for all kinds of animals including rabbits, chickens, mice and chinchillas to name a few. The natural properties of the soft wood enables it to mask odours.